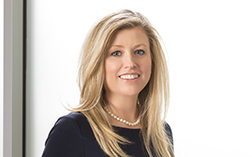 Shawna M. Lydon is a member of the Litigation Practice Group at Betts Patterson Mines. Her practice is primarily in the areas of employment law and insurance defense litigation, including motor vehicle liability, premises liability and product liability matters. Ms. Lydon also has substantial experience handling real estate disputes, including mortgage litigation involving lender liability. Finally, Ms. Lydon actively represents insurers in coverage disputes involving bad faith and IFCA disputes. Prior to joining Betts Patterson Mines, Ms. Lydon served as judicial law clerk to the Honorable Charles W. Johnson of the Washington State Supreme Court. Defended employer in wrongful termination and discrimination case. Ms. Lydon prevailed on a motion for summary judgment and the case was dismissed. Defended Trustee in a long-standing family dispute over the distribution of assets. Ms. Lydon prevailed at trial, wherein the court held that plaintiffs failed to establish claims for breach of fiduciary duty and alleged violations of the Trust and Estate Dispute Resolution Act (TEDRA). Defended an individual in a motor vehicle personal injury case. Plaintiff sued the defendants for damages, alleging that they were liable for the automobile accident and owed her damages for personal injuries. Client prevailed and received a defense verdict on both issues of liability and damages. Represented a counter defendant in a personal injury case. The plaintiff sued the owner of breeding program for personal injury damages, resulting from one of his German shepherds attacking her minor son in the head. The owner of the breeding program/dog, filed counterclaims against the plaintiff for breach of contract and other claims. After extensive discovery, multiple depositions of the parties and a hearing set for Summary Judgment Dismissal, the counterclaimant/defendant agreed to voluntarily dismiss client from the suit. Defended a manufacturer of medical devices in a product liability case. Plaintiff brought an action against the defendants for negligence and product liability under Washington’s Product Liability Act (“WPLA”) for injuries she sustained when an x-ray table lowered on her foot. Ms. Lydon won motion for summary judgment and the claims against the defendants were dismissed. In dismissing the action, the court held that the plaintiff failed to exercise due diligence in discovering facts that were salient to her claims and that her claims were time-barred under the WPLA. Defended a financial institution in three separate disputed foreclosure actions. In the first action, plaintiff originally brought an action against the defendants in state court relating to the refinancing of his home mortgage. The defendants successfully removed the action to federal court. Upon review of the defendants’ motion to dismiss, the court determined that the plaintiff had failed to meaningfully participate in the prosecution of his case and, as a result, dismissed the action against the defendants. In the section action, plaintiff alleged several claims against the defendants to prevent the foreclosure of a rental property. The court entered summary judgment in favor of the defendants as a matter of law and dismissed all of plaintiff’s claims with prejudice because the rental property had been foreclosed upon and because the plaintiff failed to prove the essential elements of any of his claims. In the third action, the court dismissed the entire action with prejudice and required the plaintiff to remove a lis pendens he had filed against the property, and awarded the defendants attorney's fees, costs and sanctions because the plaintiff's action was deemed frivolous and advanced without reasonable cause. Represented landlords at trial in a contentious residential landlord-tenant dispute over a long-term lease agreement. Ms. Lydon received a verdict in her clients’ favor and obtained a judgment against the tenants for attorney’s fees and costs. In ruling for Ms. Lydon’s clients, the Judge specially held, among other things, that the tenants had improperly abandoned the subject property in violation of RCW 59.18.310 and the long-term lease agreement, and the tenants unreasonably denied Ms. Lydon’s clients access to the property in violation of RCW 59.18.060. Defended one of the largest product manufacturer’s in the U.S. in a product liability case. Plaintiff alleged that a popcorn maker was defective in design and had inadequate warnings, causing burns to his hand. Ms. Lydon successfully argued that it was user error that caused plaintiff’s injuries, and as a result she obtained a defense verdict. Defended a bicycle manufacturer in a personal injury case. Plaintiff alleged that, as a result of a design defect, the front wheel loosened causing the bicycle to fail, which resulted in disabling injuries. Ms. Lydon drafted a motion for partial summary judgment on the issue of plaintiff’s non-economic damages for anxiety, pain and suffering, and emotional distress. Ms. Lydon successfully argued that plaintiff’s claim for non-economic damages be dismissed as a matter of law under RCW 4.20.046, Washington’s General Survival Statute. The court granted Ms. Lydon’s summary judgment motion, which greatly reduced plaintiff’s claim for damages and led to a favorable settlement.